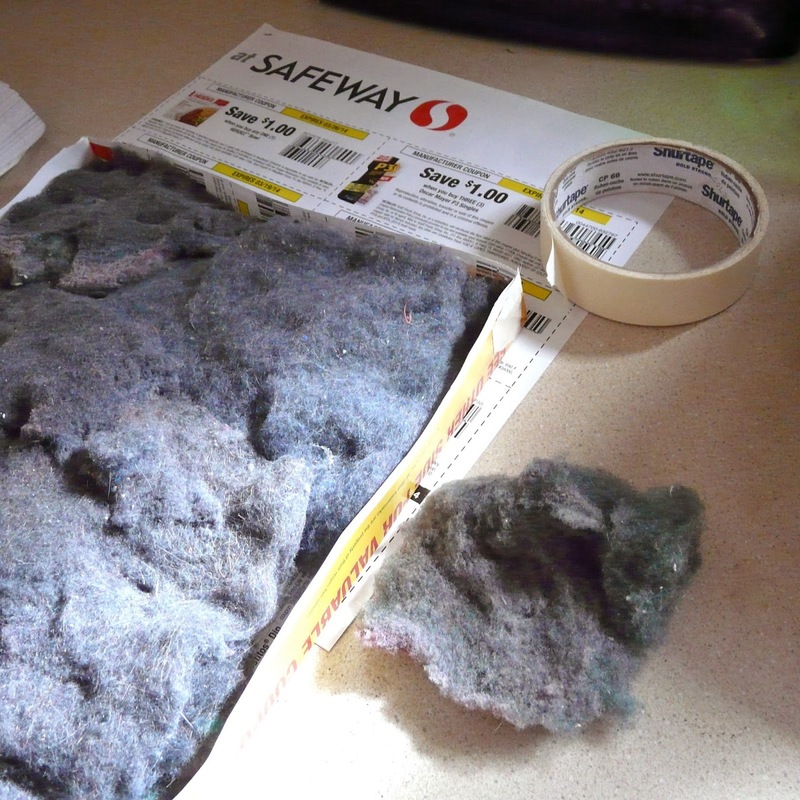 I also have a box of dryer lint, saved for just such an occasion. Some notes on that - the suitability of dryer lint for burning is dependent on the fiber content. 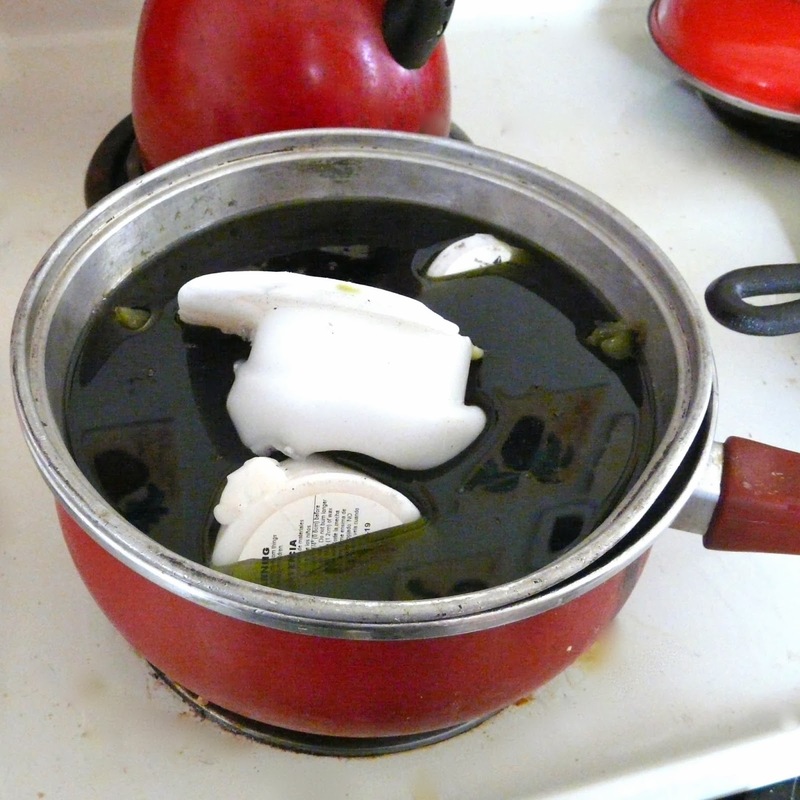 Wool does not burn well, synthetics smoulder and melt. Fortunately, most American wardrobes have a high percentage of cotton, which makes rather flammable lint. 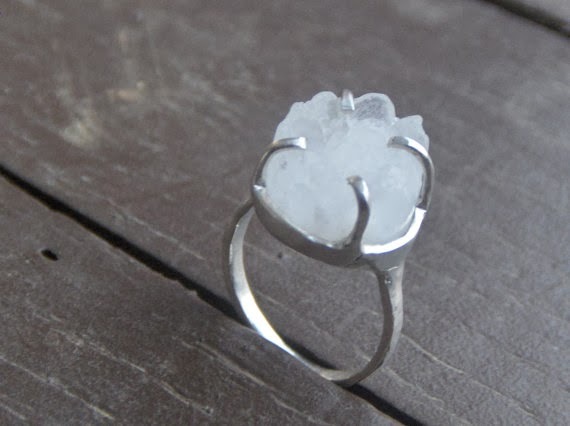 To test your lint, pinch off a bit and try lighting it ( don't hold it in your fingers directly!) If you get a smouldering melting mass, it will not serve as good firestarters. To be clear, even a "pure" cotton lint will not burn clean and bright, as it likely has lots of dyes, dirt and foreign bits in it, but it will burn fine when covered in wax. 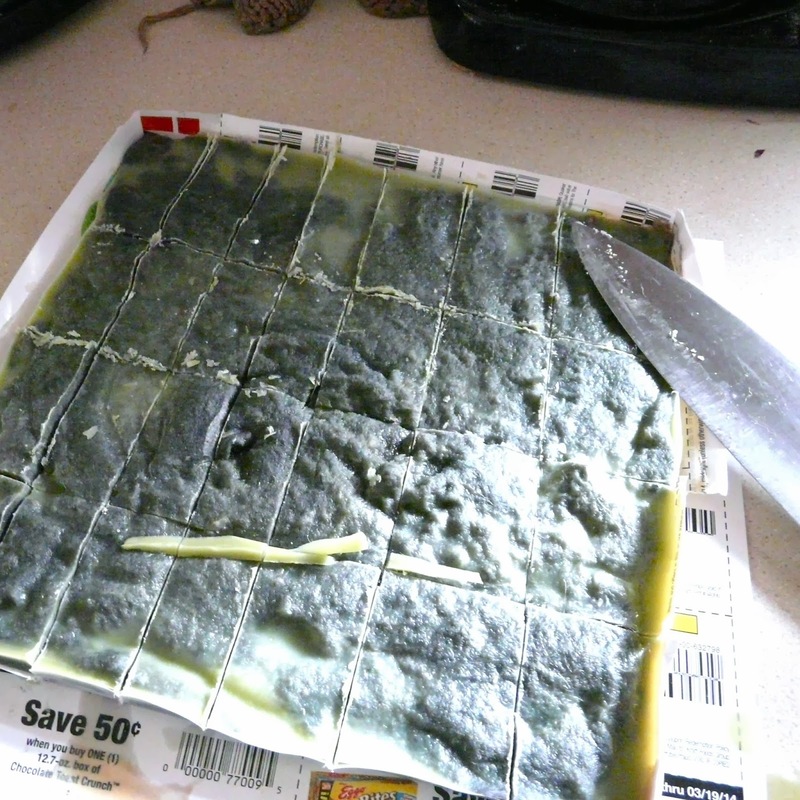 I created a "mold" with a waxy advertisement paper, and filled it with a layer of lint. It's not terribly tall, it's easier to work with relatively narrow strips of firestarter. 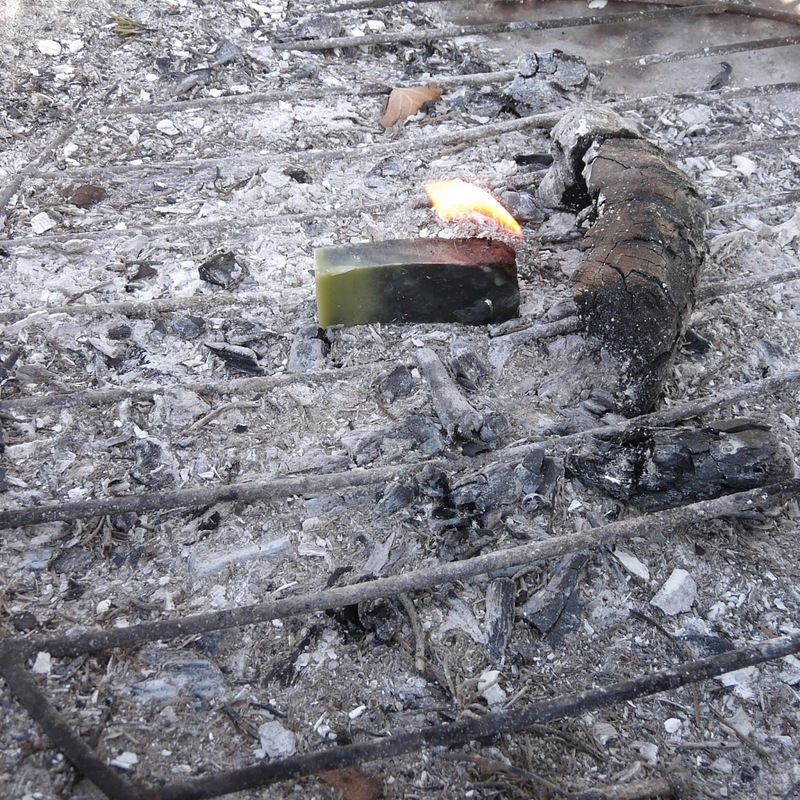 Wax is poured over, and a stick was used to ensure that all the fiber was covered in wax. When the block had cooled enough to solidify, but was still warm and pliable, I used a knife to divvy it up into blocks. It takes a moment with a lighter to get each block going, but it then burns like a candle covered in wicks, and will light even damp or stubborn fuel! 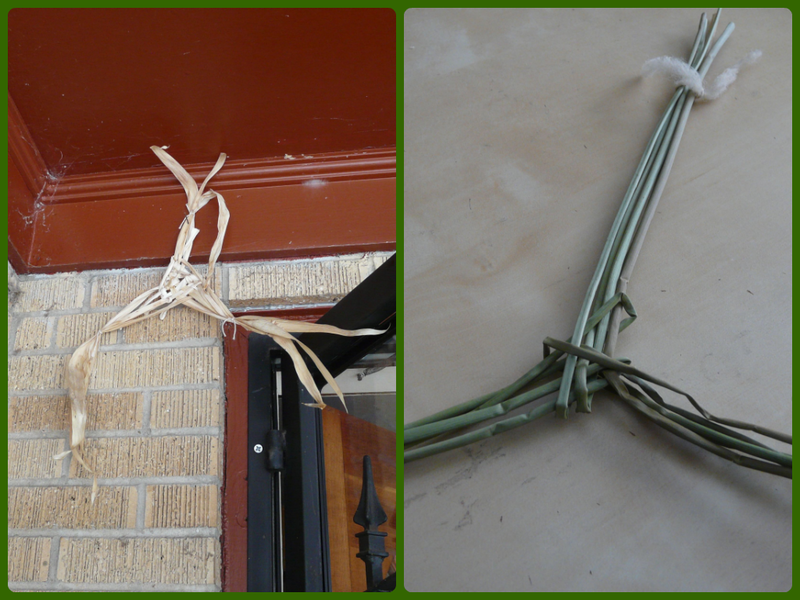 In addition to crafting woven crosses for Imbolc, I also made some more short-lived honors. As Brigid is a hearth goddess, bread seems rather apt. I used many other ingredients that I associate with Ireland and Imbolc - Honey in the yeast starter, Oats soaked overnight ( I should have added whiskey to them! Next year...), Butter and cream, and the last of the fall apples from our CSA. I did a sponge in the usual manner, then added all the yummies except the apples. After a first rise I added chopped apples with a little bit more honey. 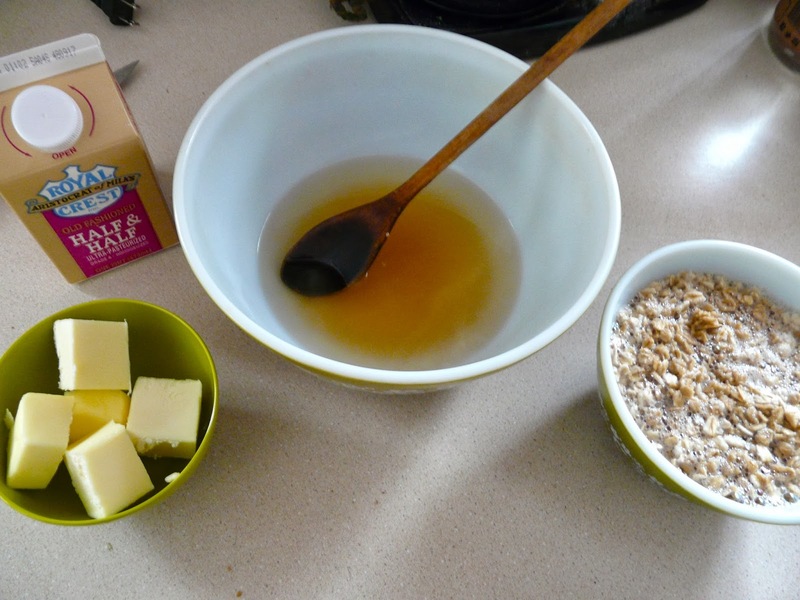 Step three was to make two lovely loves and brush them with a little bit of milk on top, and let rise. 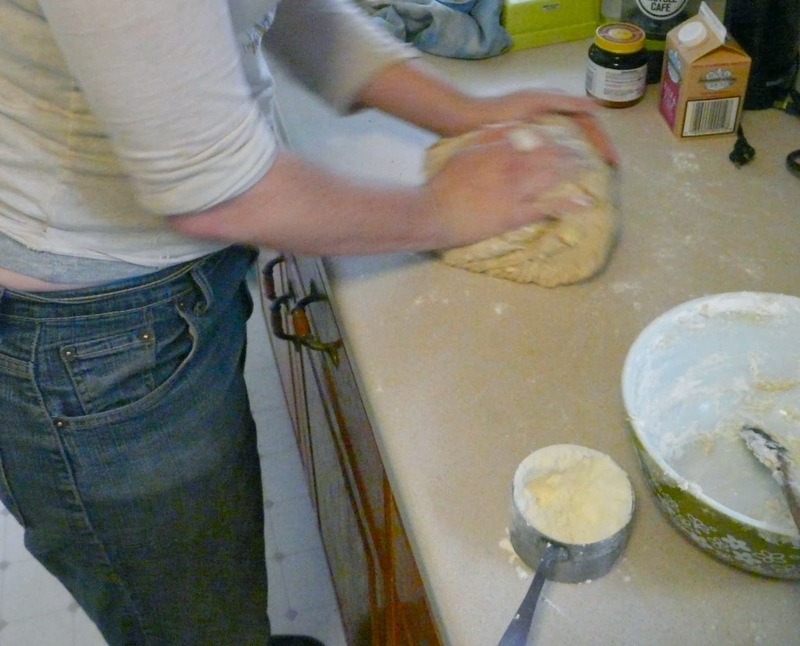 Step four is to Bake. Step five is to offer some up to the goddess, still steaming hot and smeared with butter. Bread is the perfect way to warm up a chilly kitchen, How do you keep your house toasty? 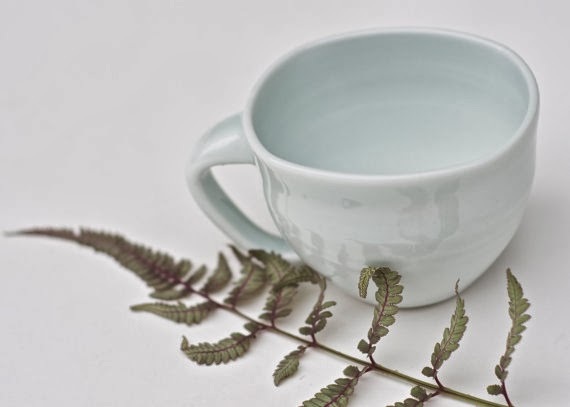 Settle in with a nice delicate cuppa, from CenterCeramics. 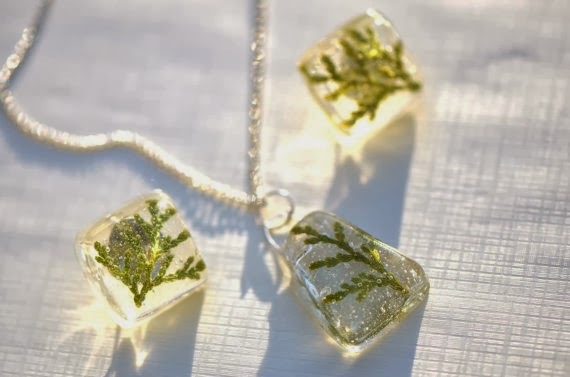 If you do fancy savoring the ice, this set from OrioleStudio captures the feel of frozen evergreens on a frigid February day. 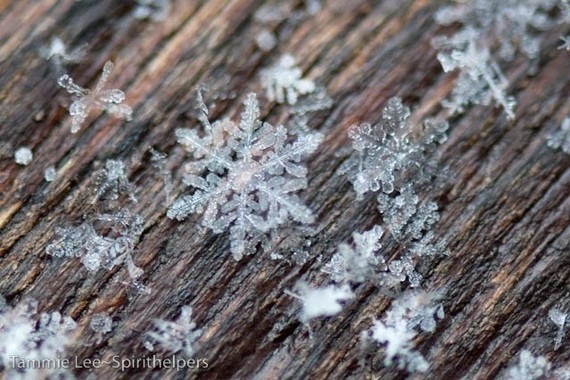 Whatever the weather, remember to enjoy each season for what it brings, even if that is ice and snow! How are you keeping warm? Imbolc (also known as Imbolg, Candlemas, St. Brigit's Day etc.) is a traditional time to celebrate the winter's passing and look forward to spring. Stories say that Imbolc was when livestock began to give milk again, heralding the birthing season. This milk helped families that were running low on food to survive the winter. The name Candlemas may mark this as the time of year when the sun rose early enough that one no longer needed candles to do early and late chores. 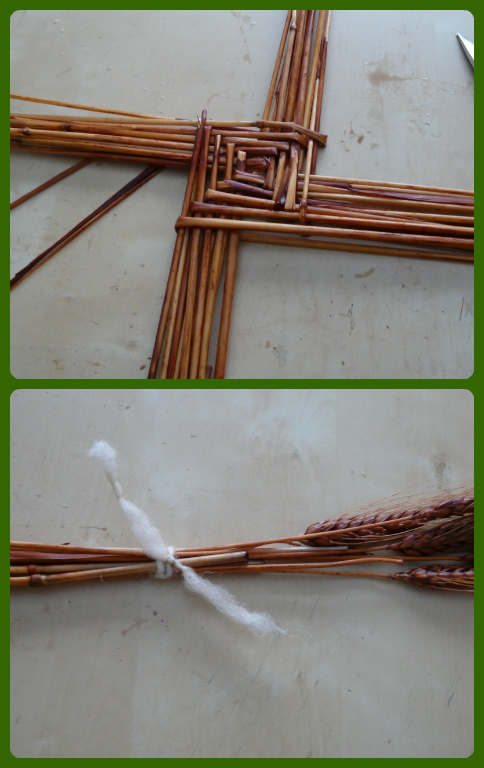 Tradition dictates that one makes a new Brigid's cross each Imbolc, and burns the previous year's. (It's also time to burn other Yuletide greenery, goodbye tree!) 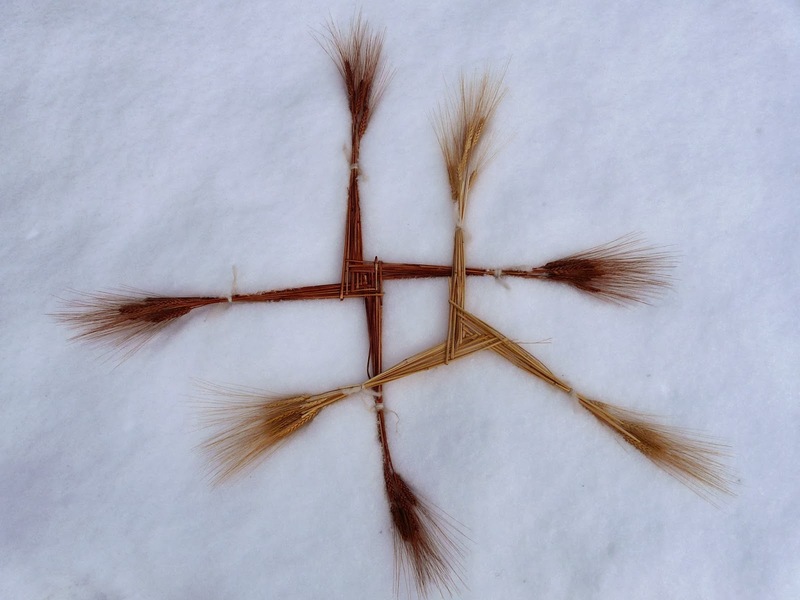 Brigid's blessings are beseeched, and the cross offers her protection thru the year. Here you see last year's cross hanging above the doorway, it's made from iris leaves as that is what I found in the garden last winter. 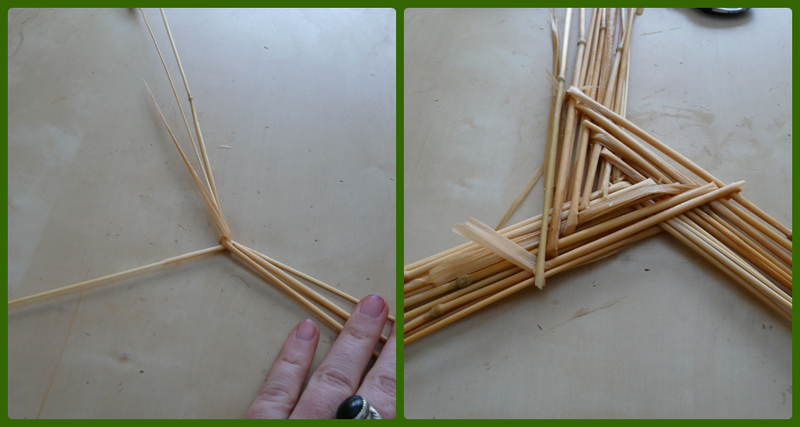 Next to it is a reed cross I made on my pilgrimage to Ireland last fall. Lesson one - You will never regret adding more rounds! This year my garden is covered in a wonderful blanket of snow, so I was forced to seek out some more traditional supplies. Wheat and dried (and dyed) reeds were found in the floral section of a big box craft store. They were rather expensive, and I will try to remember next fall to squirrel away some sheaves! I did soak the materials overnight to soften them up, the reeds never really got flexible, but the wheat was very pliable. 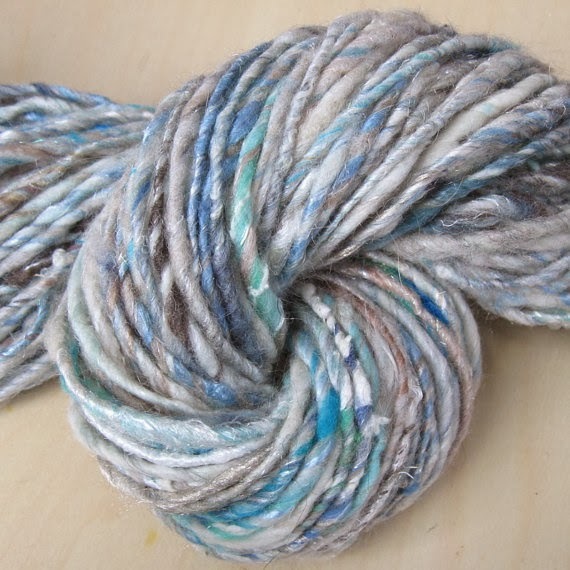 I also spun up some Irish wool to use for tying. Really, any twine, string etc. will do. Start by learning a square four-armed cross. This style reminds me of a sun-wheel! 1. lay out a stalk upright, slide another stalk underneath. 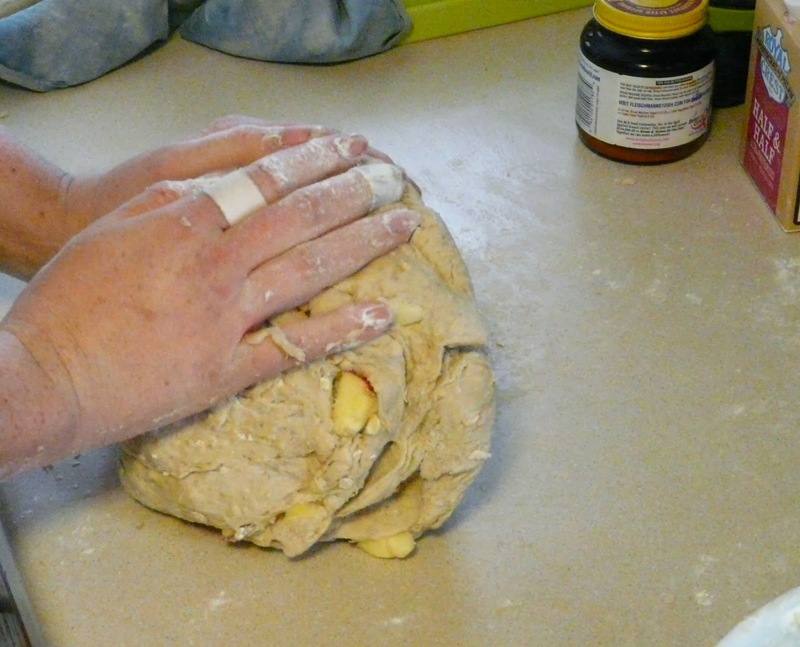 2. fold it over to the right. 3. rotate the entire thing clockwise, lay out another stalk, sliding it below the first. Fold it in half to the right. 4. Rotate the entire thing clockwise, slide a stalk under the upright, closer to your body than the center, fold it in half to the right. Repeat until you have a large core. remember to keep rotating the same direction, always adding on the side nearest you, always fold to the right. After a few rounds the center will be easy to see, and you will notice problems easily. Tie each arm up, be sure to wrap a few times around and pull tight! As the cross dries it will shrink. You can now easily tidy up and tighten the cross. 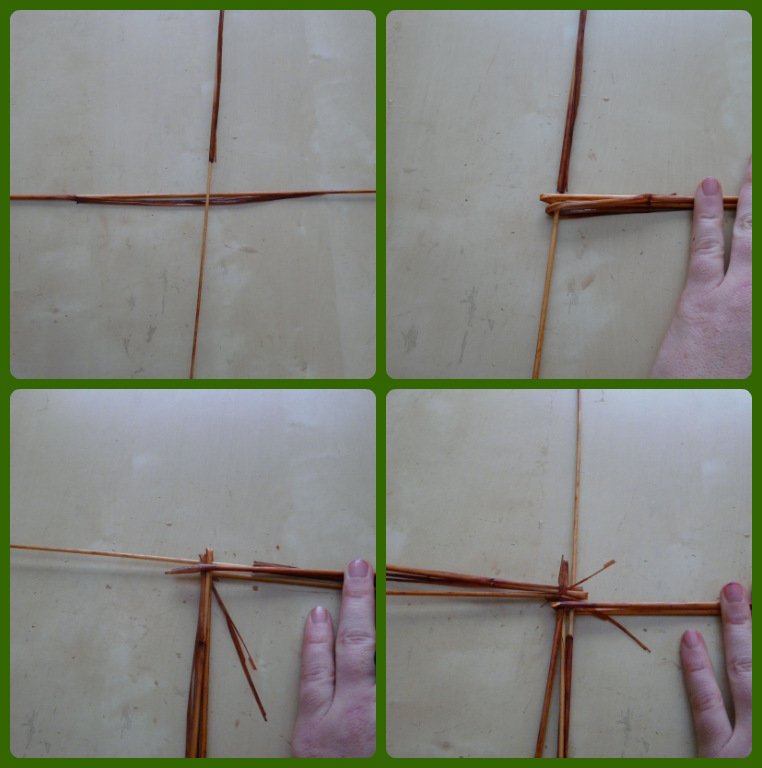 To make a three-armed cross, follow the directions above, but when you get to adding the fourth stalk, bend the first stalk (upright in the first photo) around to the side to make three evenly spaced arms. It's a little trickier to start, but after a round or two it gets to be just as easy as a four-armed. Now ask for Brigid's blessings, light a candle for her, and hand them up around your house! I hope you all are staying warm in these lovely winter storms!